I began my audio career in 2005 after graduating from Pulse College, Dublin with an honors certificate for Sound Engineering. I worked for a period in live sound. 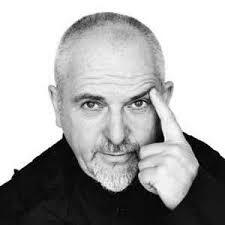 Firstly, with Peter Gabriel at Real World studio's in Wiltshire, UK as part of his 2005 "Still Growing Up" tour. I continued working live gigs in and around Dublin live music venues and also worked at larger stadium concerts for the likes of Sting and Rhianna in Dublin's Croke Park and RDS arenas! Shortly after I began my work in location sound, post production and creative sound design. Soon realizing that this was the area of sound I enjoyed most as an engineer, and where I could best apply my skills. 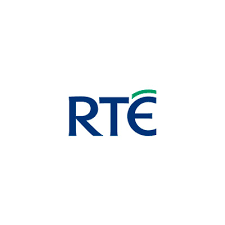 Beginning with an internship on Channel 4 series "Teachers" for Tiger Aspect Productions in the UK, I went on to work on various productions throughout the years including "Trivia" for RTE and "Mooneboy" for Deadpan Pictures. In late 2012 I was recruited by Irish animation studio Brown Bag Films to work in their audio post-production house. I've been credited on many of their productions including Doc McStuffins, The Octonauts, Bing Bunny, Trouble in Paradise and Peter Rabbit. After 3 very successful years in Brown Bag I left in 2015 to pursue a freelance career. 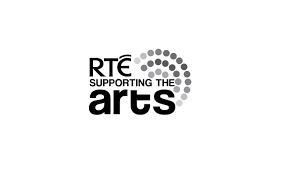 I've since worked on Irish feature films "Get Up and Go" and "Michael Inside" along with various commercials and television shows. I worked on 3 IFB funded shorts as Production Sound Mixer in 2017. "Acorn" which was shown and well received at last year's Galway Film Festival, "Confession" and "Catcalls". I've continued working on projects as post-production sound engineer, mixing, editing and sound design for commercials, film, tv, radio and podcasts. I also continue to work as a boom operator for bigger productions and recently wrapped on the production of Irish/Sweedish co production "Rig 45" which will be broadcast on UTV in 2018. If you think I'd fit into your team and would like to discuss an upcoming production please get in touch. All of my details are on the "Contact" page, or you can leave yours and i'll be sure to get back to you. I'm happy to take on jobs however big or small. I've a full list of production credits on the "Credits" page. If your interested in the equipment I use please visit the "Equipment" page. Coming Soon to Irish Cinemas Written and directed by Frank Berry, Michael Inside tells the story of Michael McCrea (Dafhyd Flynn) an impressionable 18-year-old living with his grandfather Francis (Lalor Roddy) in a Dublin housing estate who gets caught holding a bag of drugs for his friend's older brother, and is sentenced to three months in prison. A unicorn-horned octopus and a talking purple chair fight to save their home town of Sunnyshine from a wicked king and his army of moustaches. The irreverently titled 'The Story Will Be Revealed in the Movie' is a quirky, mad-cap, extraordinary tale that was written, designed, and performed by the children of Fighting Words as the third consecutive collaboration with Brown Bag Films, with narration by the wonderful Deirdre O'Kane. Doc has to go to the North Pole to help Santa fix a toy before Christmas morning! Watch this clip of Bing and his friends getting ready to watch the fireworks. Fair City's Maclean Burke asks people to donate to their local Simon Community. People who are homeless desperately need our support. But we can't help them without kind donations from people like you. Your gift will help us to provide essential support to those experiencing homelessness, shelter and human kindness to someone who has nowhere else to turn. World Vision Ireland short film highlighting the importance of mothers around the world. 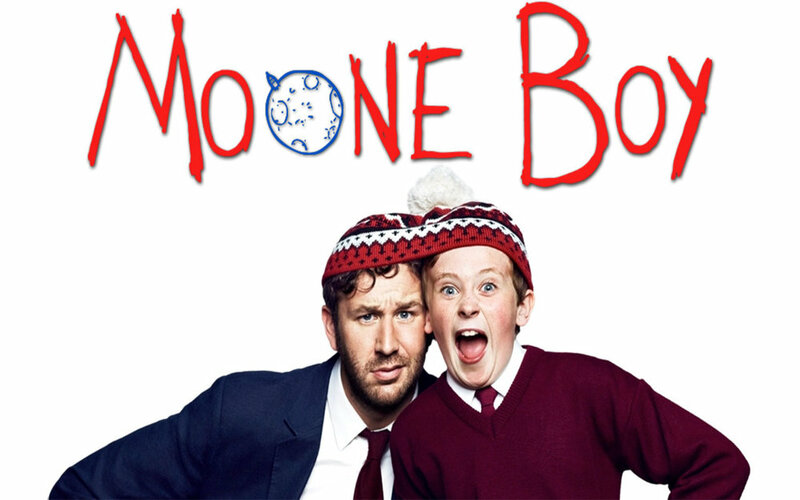 Mooneboy is back! On Monday 17th February at 9pm. Martin's now at big school, which opens up a whole new world of fun and adventures for him and Padraic, particularly in the 'girls' department. With imaginary friend Sean (Chris O'Dowd) on hand to provide the usual solid, helpful advice to Martin, what could possibly go wrong? is full of adventure and excitement, tapping into children's innate desire for exploration. It celebrates the themes of friendship, nature, discovery and adventure as Peter investigates the world around him. Film tells the story of Coilin and Alex, two friends in Dublin at the wrong end of their 20s whose dreams of artistic greatness haven't quite worked out. When Alex discovers that his girlfriend is pregnant, he refuses to allow her derail his plans to leave Dublin for the bright lights of London. It's Halloween in Roarsville so Henry and his friends are going to the Halloween Parade! Emperor Penguins Season 4 like comment share subscribe The Octonauts is a British children's television series, produced by Silvergate Media for the BBC channel CBeebies. 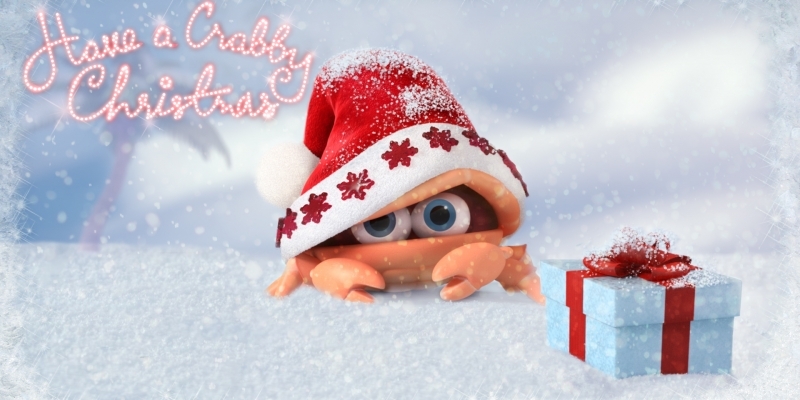 The series is animated in Ireland by Brown Bag Films but uses British voice actors. 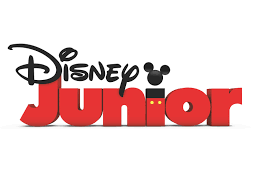 The TV series is based on American-Canadian children's books written by Vicki Wong and Michael C.
I've worked on many feature films, television shows and commercials as the boom operator. Not only is the role physically challenging, there's also a very high level of both technical skill, and people skills, that are required to ensure pristine audio, and comfortable cast and crew. Dialog editing services are provided for live action/animated film and television. You can also avail of this service for podcasts, radio shows, audiobooks, corporate video and online content. In addition to dialog editing I can provide final mix for your project. Delivery in stereo mixes, 2.1 and surround sound (5.1 and 7.1) mix are all available. Mixes are delivered to meet international loudness protocol including ATSC A/85 (the US), EBU R128 (Europe), OP-59 (Australia). In order to meet all of the delivery specification for your project you may need to have all of you files packaged up in the correct formats. I can take care of all of the formatting for your files including stem track formatting and output, protools session delivery, and loudness specifications. I'm always available to discuss your project and impart my extensive knowledge should you require a little advise. If your relatively comfortable with tackling the audio aspect of a project yourself, but could do with a little help or re-assurance, I can be of service. Likewise if you hit an audio related stumbling block during your production I can assist you on your options and give suggestions on how resolve any issues. I've got an extensive kit list for recording location sound for drama. Condenser/shotgun mics, radio lapel mics, IEM playback system for director and script superviser, audio mixer and recorder with timecode, boom poles, headphones, cables, and all the other bits and bobs to ensure your project audio gets all of the care and attention it deserves. If you happen to find yourself in an audio pickle I might be able to help! Many times people take there audio in to edit only to discover a "ruined" take from really distracting wind, hum or background noise. All is not lost! I can analyse your audio and let you know if it can be repaired with some clever editing. I can build your project up with spot and foley sfx and music so you will have dynamic and engaging audio in your final project. All of the music, atmospheres, spot and foley effects are covered. This service is particularly attractive to animation projects, radio-plays, or podcasts where soundtracks are needed to add that vital dimension. I have known Chris Carroll for over 10 years now. He came to assist us in the studio at real world studios for tour preparations and recordings. Selection of cables (Van Damme pro audio cable with Neutrik XLR connectors, BNC to Lemo 5 TC cable, BNC to BNC, TRS to TRS, TRS to XLR. DAW Software (Protools, Reason, Logic) w/selection of plugins for post-production. If you would prefer a call back please submit your details below. Wan't to tell a bit about your project? Thank you! I'll be in touch shortly. This is going to be the start of something beautiful! I’ve worked on several projects with Chris in his capacity as Audio Engineer, including on two award-winning short animated films for Fighting Words and a promo short. Chris took the lead of the audio department for each production, voice recording, foley work and musical score creation. The final mix on both occasions was of a very high standard and I am very proud of the final result. Chris thoroughly invests in any project he is part of, he sees each task out to its best possible end result, and he brings a strong air of confidence and charisma with his overall easy going personality.